The Mrs. Yoy Blog: Big E: Are You Going to Eat That? Today's daily confession: I wear ear plugs to concerts. Because, while I enjoy live music, I also enjoy hearing. I hastily cleaned out the bottom of my purse this week. The throw away pile, which included my used ear plugs, was still on the kitchen island when Big E climbed up on the bar stool next to me. I was engrossed in trying to explain to my parents how to visit the app store on their new smart phones and download Skype. A typical evening would include Skyping with my folks during the boys' dinner, but since my parents did something deadly to their home computer, we haven't been able to Skype. If you have ever tried explaining computer stuff over the phone to your baby boomer parents, then you will understand why I didn't notice what was going on a few feet away. I glanced over at Big E, who was unusually quiet. He was fumbling with my foam ear plugs. They had been squished down to about 1/3 of their normal size. I caught a faint outline of a tooth mark on the swelling ear plug. First, I suppressed the urge to gag. BIG E, DID YOU PUT THAT IN YOUR MOUTH? He looked like a cat with a canary housed in his mouth. Again, same guilty look coupled with a few bats of his long and lustrous eyelashes. BIG E, DID YOU PUT MY USED EAR PLUGS IN YOUR MOUTH? I WON'T GET MAD, JUST TELL ME THE TRUTH. I'll just add used foam ear plugs to the long list of horribly disgusting things Big E has attempted to eat. 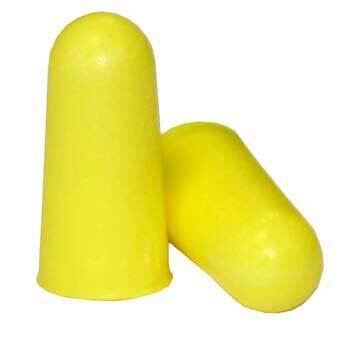 Ear Plugs: It's what's for dinner!